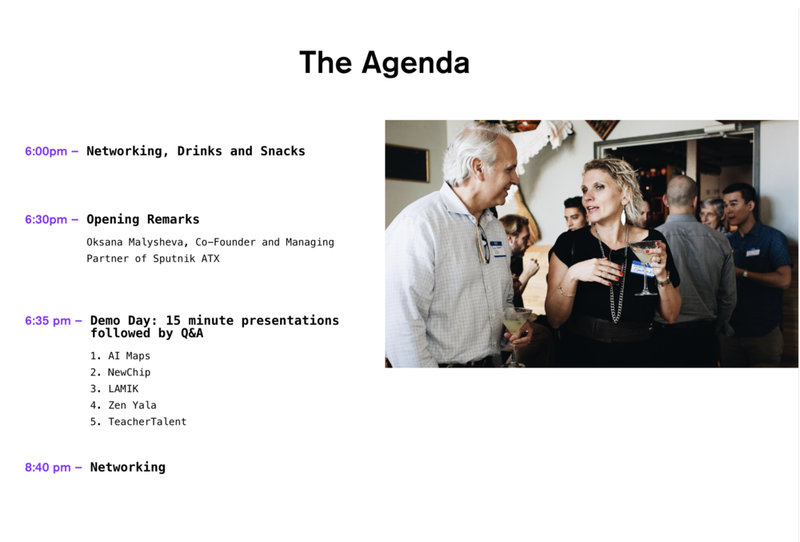 Sputnik ATX's Summer'18 class of startups will pitch at Demo Day, the final event of our thirteen-week program. Join us for an evening of pitching, product demos, Q&A and networking. Enjoy drinks, snacks, and as much startup scrappiness as you can handle. This event is open to accredited investors only. To inquire about attending if you have not already been invited, please email us at info@sputnikatx.com.